(NaturalNews) Nearly 8 million people worldwide die from cancer on an annual basis. Cardiovascular disease is the number one cause of death, killing almost 17 million people in 2011; both of these statistics are spiraling out of control. Now three top scientists, Dr. Panagopoulos of the University of Athens , Associate Prof. Johansson of the Karolinska Institute, and Dr. Carlo of the Science and Public Policy Institute, are sounding the alarm bell. Leaders in their respective fields, Panagopoulos, Johansson, and Carlo, claim electromagnetic field (EMF) exposures significantly below international safety levels exposures are destroying the public’s health and well-being. This latest study concluded the present standard of measuring EMFs, Specific Absorption Rate (SAR), to be totally inappropriate. SAR measures the heating effect of EMF based technologies like microwave ovens, cell phones, cordless phones, Wi-Fi and the like. But countless studies have brought to light adverse biological effects at radiation levels significantly below levels where a thermal effect is detected. Like other pioneers in the field of scientific research Dr. Carlo’s, Professor Johansson’s, and Dr. Panagopoulos’s innovative work has been scoffed at by many of their academic peers. Needless to say, their scientific evidence remains unassailable. The researchers stand 100% behind their life altering conclusions. Much EMF research is skewed by funding and research bias. A prime example of how funding influences research findings is demonstrated by a 2005 meta-analysis on cell phone studies. When comparing research findings and sources of funding, the findings were clear. The majority of industry funded studies found cell phone users had a lower risk of brain tumors; while non-industry funded studies found users had an increased risk. 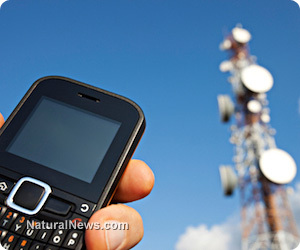 EMFs not only affect cell phone users, but pretty much anyone else living in this technological age, the young, the old, and everyone else in their path. This exposure results in increased risks not only for leukemia and AD, but reproductive issues, behavioral issues, autism, neurological effects, DNA changes, certain types of cancer, and changes in the blood-brain barrier. Taking these simple steps is well worth the effort; the power to reduce EMF exposure and the adverse health effects that stem from them are truly right there at your fingertips.